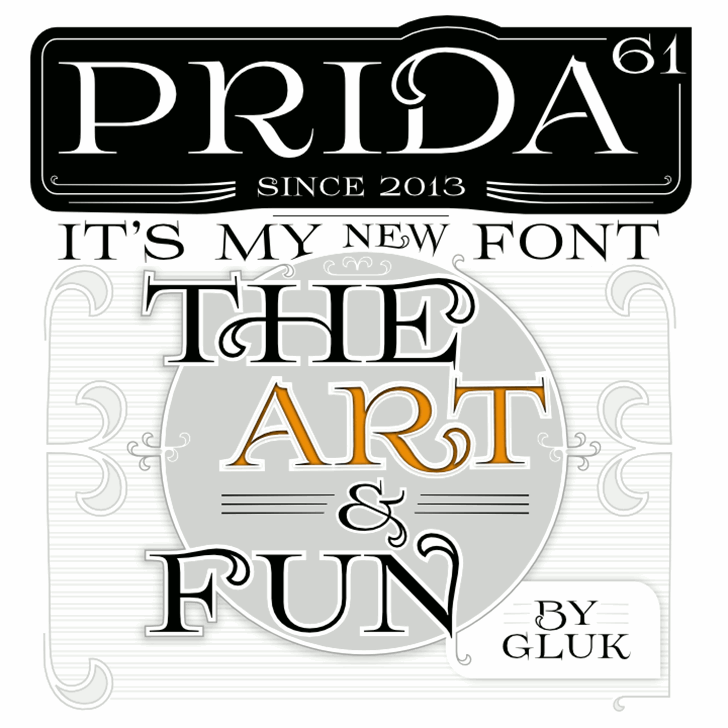 Font Prida61 with sim­ple Lower Case and dec­o­ra­tive Upper Case. Stan­dard Lig­a­tures, Con­tex­tual Alter­nates, ini­tial and final Forms only for Upper Case. This is a fantastic font!